Homeschoolers are amazingly creative people. We are out of the box thinkers, and work to figure out how to best teach to each of our children. I’ve discovered my kids’ interest level in a lesson instantly gets a lot higher if I pull LEGO bricks into our homeschool. You probably already have a giant pile of LEGO bricks in your house. Why not use them to act out scenes from a favorite book (instead of writing that book report)? Or do as we do in our homeschool—act out important events from history. The figures and what you build do not have to be related to the topic of study. Having the wrong figures can be rather funny. My kids especially love to bring Chima figures into our LEGO history lessons. This is slightly different from the above example. In the above example the kids are acting out what they learned and retelling it. This time they are trying to replicate something built before. This is great for geography and math. While those are all geography ideas, you can also illustrate math concepts brilliantly with LEGO pieces. I’ve been amazed how many science concepts can be tried or taught with LEGO pieces in addition to the models you can build like I mentioned up above. 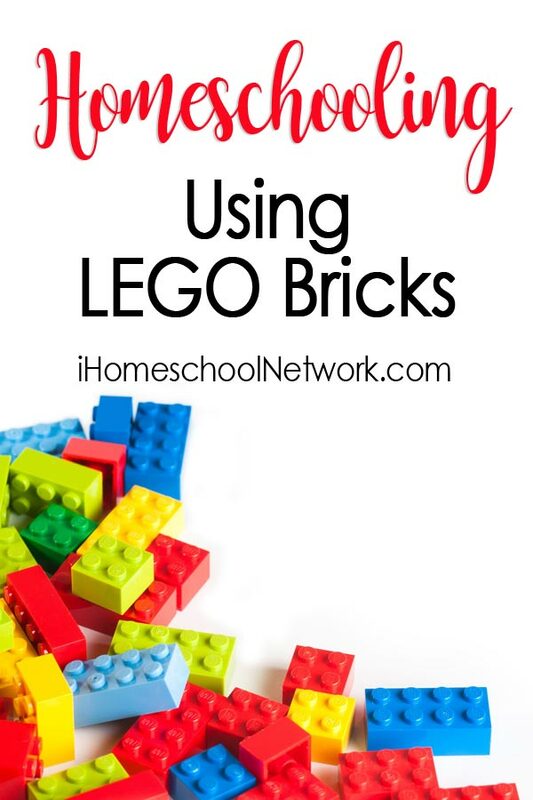 Want more LEGO learning for your homeschool? (affiliate link)STEAM Kids: 50+ Science/Technology/Engineering/Art/Math ideas – If you want to get your kids thinking differently, try this book and take your LEGO learning to a whole new level. Brain Power Boy– Her blog has amazing LEGO ideas. Hi! I'm Ticia and over in my cozy little corner of the world, Adventures in Mommydom, you can find great hands on learning tips and practical ways to make your lessons relevant to your kids now, whether it's history or Bible.